I hope everyone has had a good week and is having a good weekend! 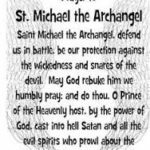 I love this feast day along with Guardian Angels on Oct. 2! 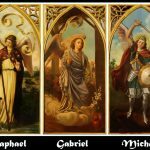 I thought this was good for those who wonder who are the Archangels and how do we have names for them!